The Smithsonian’s National Portrait Gallery announces “Portraits of the World: Korea,” the second exhibition in a series dedicated to highlighting the global context of American portraiture. Whereas the inaugural exhibition was dedicated to Switzerland, the latest edition of “Portraits of the World” turns to Korea. It features “Mother III” a pivotal work by pioneering feminist artist Yun Suknam. 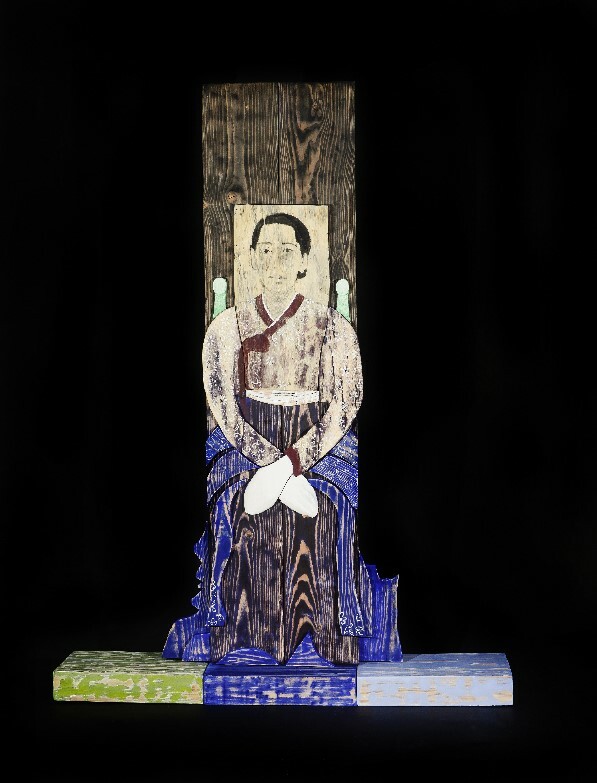 In what will be the first exhibition to focus on the South Korea-based artist’s work in a U.S. museum, Yun’s wood assemblage will be displayed in conversation with portraits by and of American feminist artists. The Portrait Gallery exhibition coincides with the 25th anniversary of Yun’s groundbreaking solo exhibition “The Eyes of Mother,” which was presented in Seoul in 1993. “Portraits of the World: Korea” will be on view from Dec. 14 through Nov. 17, 2019. A press preview will take place Thursday, Dec. 13, from 10 to 11:30 a.m. Inspired by the contemporary art practices she observed while visiting New York in 1983 and 1991, Yun began to create wood assemblages that reinterpreted traditional Korean materials and decorative motifs. A pioneer investigator of feminism through the lens portraiture, Yun spearheaded a turning point in the Korean art scene with her exhibition, “The Eyes of Mother.” It was presented at the Kumho Art Museum, Seoul, in 1993, just two years after her second return from New York. “The Eyes of Mother” was innovative because it sought to represent the shared experience of women in Korean society through a variety of portraits of a single woman, the artist’s mother. That signature exhibition, for which the first version of “Mother III” was conceived, challenged Confucian ideals of womanhood embedded in traditional Korean culture. In this manner, the work also critiqued the limitations these ideals imposed on women within Korean society. “Mother III” (2018), on loan from Hakgojae Gallery in Seoul, will be placed in conversation with a selection of portraits of American feminist artists whose practices confront issues similar to those explored in Yun’s “The Eyes of Mother” and her related “Pink Room” series, such as gender inequality and the physical consequences of aging. Artworks by Anh Duong, Judith Shea, Kiki Smith and Ruth Ellen Weisberg will be on view in addition to portraits of fellow feminist artists Nancy Spero and Marisol. The exhibition will also feature portraits of Louise Bourgeois and Louise Nevelson, whose work Yun observed during her visits to New York. Asleson, the National Portrait Gallery’s curator of prints and drawings, will lead a special tour of the exhibition Sunday, Jan. 6, at 3 p.m. Support for this exhibition was provided by the American Portrait Gala Endowment. “Portraits of the World: Korea” is part of the Smithsonian American Women’s History Initiative, “Because of Her Story.” The initiative is one of the country’s most ambitious undertakings to advance the understanding of women’s contributions to the nation and the world.